IDEA: There would seem to be a large cultural gap between 19th century art and 21st century entertainment. But BBH didn't see it that way. "The team came in with a super simple observation: The greatest heroes through time have been immortalized in oil paintings. They thought PlayStation heroes should receive the same treatment," said executive creative director Ari Weiss. 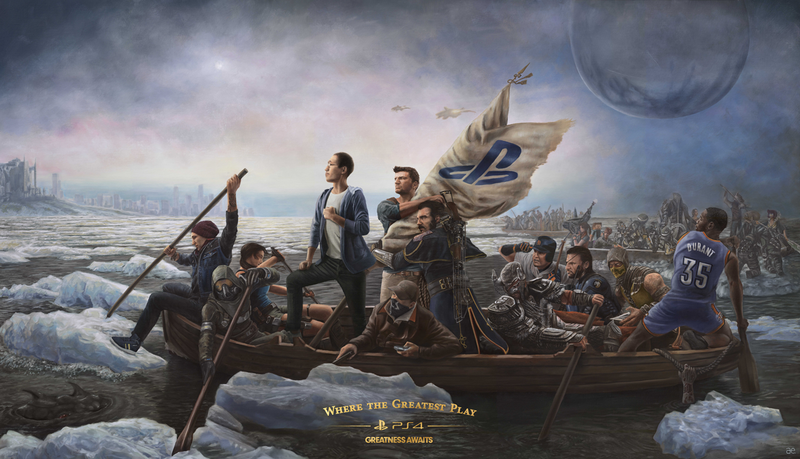 Thus, a fun campaign was born—spanning outdoor, online video, social and more—centered around Emanuel Leutze's 1851 painting Washington Crossing the Delaware, reimagined to feature heroes from PlayStation games (and one lucky gamer) in place of George Washington and his men. ART DIRECTION/TALENT: Weiss said BBH had three criteria for finding a famous work to reference: Would it be instantly recognizable? Did it have a prominent hero leading a group? And could the agency execute it beautifully? Leutze's painting was a yes on all counts, so the agency hired Swedish artist Andreas Englund to recreate it. "He's a photorealistic painter, which was perfect for capturing each game character in exacting detail," said art director Daniel Burke. "He also has a subtle sense of humor to his work, which can be seen in his series about an aging superhero." The campaign launched with a giant mural, mimicking Englund's painting, at the E3 conference in June. Next, The Mill helped bring the painting to life in a 60-second online spot. "They featured the painting textures beautifully, creating a realistic depth of field. There wasn't a more honorable way to reveal this masterpiece," said art director Diego Fonseca. COPYWRITING: Heroic voiceover copy on the spot was taken directly from Thomas Paine's famous pamphlet series The American Crisis. "These are the times that try men's souls," the narrator says over close-ups of the characters, now moving slightly. "Yet we have this consolation with us—that the harder the conflict, the more glorious the triumph. It matters not where you live or what rank of life you hold. I call not upon a few, but upon all." "We figured if it was good enough to inspire General Washington and his revolutionary army to fight for a country's freedom, it was probably good enough to inspire gamers playing for their own greatness," copywriter Evan Benedetto said of the text. The spot ends with the on-screen line "Where the greatest play" and the campaign tagline, "Greatness awaits." It also points viewers to a microsite, where they can create their own "Gamer Masterpieces" (using three classic works of art and a number of characters and backgrounds), upload them and ask for votes. The top 50 vote getters are getting a real-life version of their Gamer Masterpiece; the top 10 will get the same, plus a new PS4. SOUND: The music on the spot is a quietly stirring original orchestral track by Human. "We wanted a piece of music that added emotion while letting the voiceover really be the star," said Burke. MEDIA: The campaign was interactive at its core, but had various touch points. 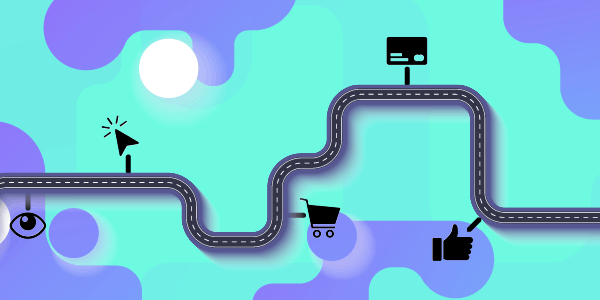 "Our audience doesn't experience ideas in siloed ways—they just grab a bit here, see a bit there, and it all needs to reward them in some way for spending time with it," said BBH New York chief creative officer John Patroulis. 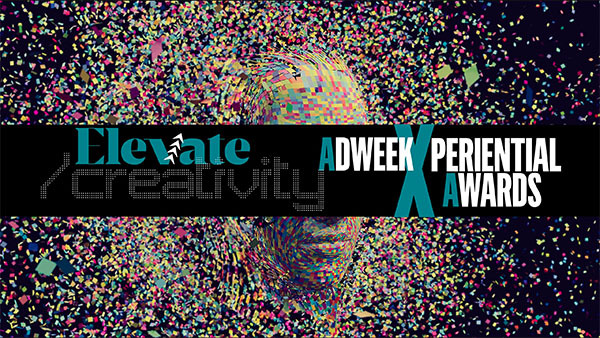 "In this campaign, interactivity and participation became the gravity that pulled all the elements together."